Need First Aid and CPR Certification? Register Now for an American Heart Association First Aid and CPR combination class. Immediately after class you will receive your 2 year AHA First Aid and CPR card. 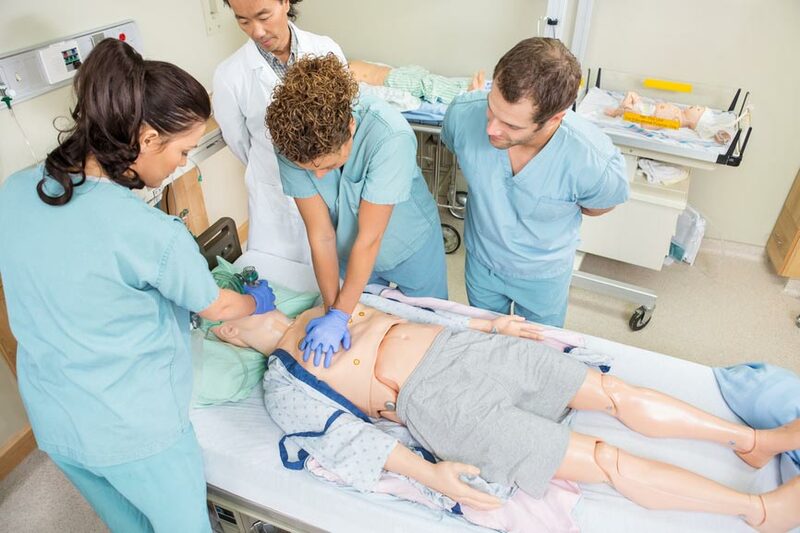 Most people take this class because it is required by their job, however others such as grandparents take it in order to feel secure that they know life saving procedures. 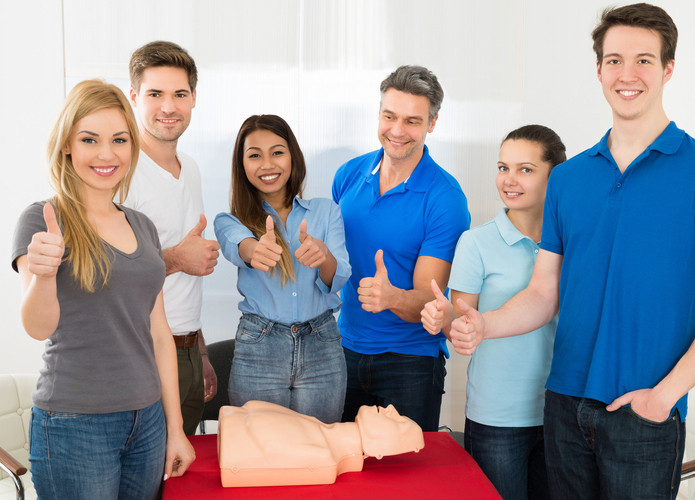 Many Florida employers require workers to be certified in First Aid and CPR. 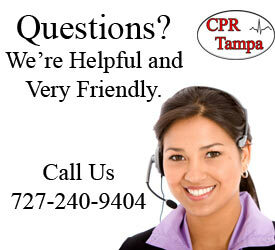 The AHA HeartSaver® class offered by CPR Tampa is accepted by all non-healthcare related employers. Anyone who needs First Aid and CPR certification that does not have a medical or healthcare background. This course is for lifeguards, teachers, coaches, personal trainers, electricians, construction workers, factory workers, transportation workers, welders, early childcare teachers, Mom’s and Dad’s, etc. This course is also OSHA approved. 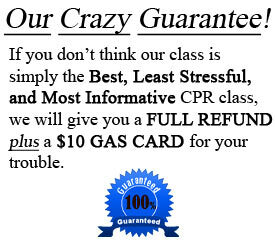 -Receive Your Card the Same Day As Class! Register Now and Get Bonuses! SAVE $20 $123 ONLY $103 for TWO Certifications. 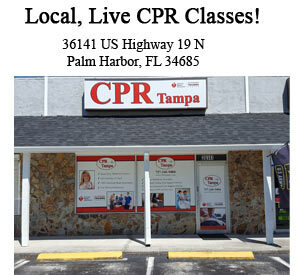 The American Heart Association certified instructors at CPR Tampa’s Palm Harbor location are experienced emergency medical and healthcare providers. 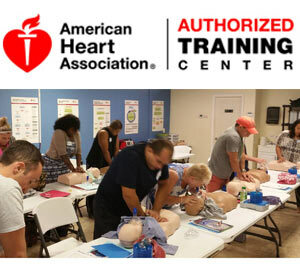 We certify individuals through the AHA with First Aid and CPR in communities that include Pinellas County, Hillsborough County and Pasco County. Other than Tampa and Palm Harbor, we also serve Clearwater, New Port Richey, St. Petersburg, Wesley Chapel, Dunedin, West Chase, Town N Country, Tarpon Springs, Oldsmar, Safety Harbor, Pinellas, East Lake, Trinity, Keystone, etc. We also will travel to certify large groups such as in offices, factories, churches, retails stores, restaurants, schools, gyms, etc. We also offer the Defibtech® line of External Automated Defibrillators (AED’s). If your interested in purchasing an AED, please feel free to contact our office for details on which one would suit your purposes best. 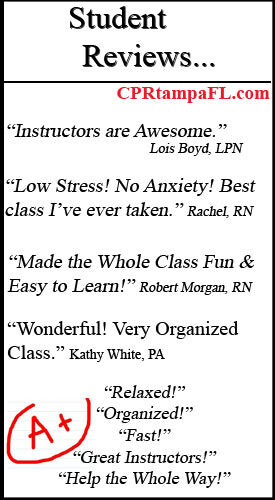 © 2015 CPR Tampa | BLS, ACLS & PALS Classes | CPR Certification All rights reserved.